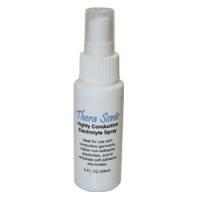 Current Solutions Thera Sonic Highly Conductive Electrolyte Spray, 2 Oz. Description of the Parker Labs Signa Spray Electrode Solution by Parker Labs 2 Oz. Electrode Gel and Solutions can be found in our extensive online collection of products from globally recognized and trusted brands, including Parker Labs. An excellent option to consider is the Signa Spray Electrode Solution by Parker Labs.